A seizure usually appears when there is an attack and it is closely related to the brain area along with the cause of the disorder. A person suffering from epilepsy can experience one or multiple types of epilepsy phenomena. Simple and unnatural movements of epilepsy include myoclonus, clonic seizures, tonic seizures, tonic clonic seizures, versive seizures and spasm. There are also seizures that have lack of movement or loss of muscle tone like absence seizures, atonic seizures, negative myoclonus and akinetic seizures. There are also generalized and focal seizures. 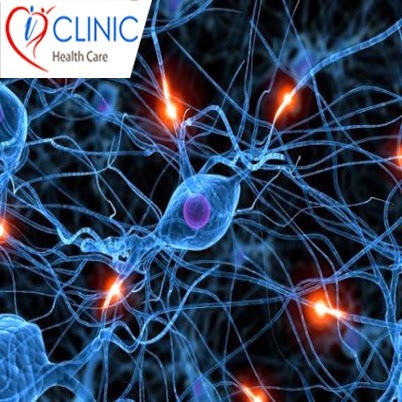 When someone experiences neurological disorders, having instant help at hand is very essential. It is always advisable to stay connected with a doctor and seek reliable advice to handle every situation correctly. iClinic healthcare is an online medical service provider where doctors of various specialities are available 24/7. Patients can not only stay connected with their specialist from the comfort of their home or office but also save valuable time and money. Sometimes a person suffering from epilepsy might experience auras before generalized seizures, which are various kinds of sensations. This is closely related to the brain and might vary from person to person. Some examples are numbness, nausea, feeling unreal, being in a dreamy state, hunger or pain and many more. What is astonishing is that these symptoms might be experienced by a healthy person also and for this reason the entire circumstance, symptoms and the various experiences need to be evaluated by a specialist. iClinic’s services are accessible in urban as well as rural areas. The online service provider aims to connect doctors with patients easily so that the current state of healthcare in our country can improve. Patients can choose from their services like ask a doctor, written medical advice, 24/7 online doctor and video call with specialist to address any medical need at any hour from anywhere. Patients can also be assured of their anonymity and special care is taken to protect their medical records as it is a secured platform.